A fiery temper within a compact design. If the largest PC manufacturer had it their way, the Lenovo X270 would become the ultimate mobile companion. In our detailed review, you will find out why there might be better alternatives after all, and why Lenovo should change a few things for the next ThinkPad X2xx. The ThinkPad X270 is a no-compromise productivity laptop that offers long battery life, a great typing experience and plenty of ports, all in a very lap-friendly package. 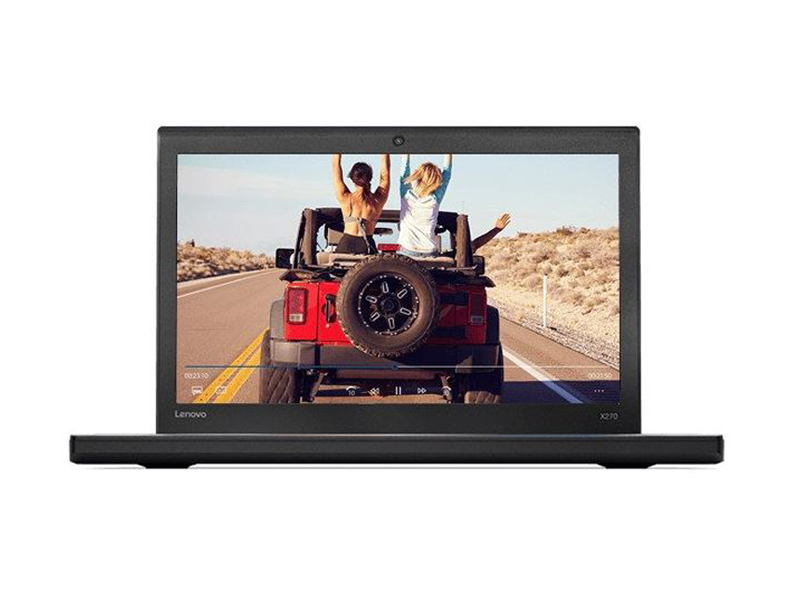 Series: The Lenovo ThinkPad X270 is one of Lenovo’s newest laptops. It is built to be a so-called ‘business road warrior system’ that boasts more than 20 hours of battery life despite a weight of only 1.32 kg (2.9 lbs). The X270 covers all the bases, offering all the ports, power and features desired in a daily laptop. It is available with Microsoft Windows 10 Pro Signature Edition. With the responsiveness and efficiency of 7th generation Intel Core processors, users can switch effortlessly between their favorite apps. Unlike with a regular mechanical hard drive, with a solid-state drive (SSD) there are no moving parts and it performs faster. Boot up time is nearly three times quicker while opening files is up to 30% faster with an SSD. In addition to delivering powerful performance, the X270 is quieter and more reliable. It is common for a business laptop to have a more robust build. The Lenovo ThinkPad X270 is no exception. Tested against 12 military-grade requirements and passing more than 200 quality checks, the X270 is engineered to survive the bumps and bruises of life. ThinkPad series laptops normally feature a fingerprint sensor and so does the X270. With Windows Hello, users can simply touch the fingerprint scanner to log in to X270. With two batteries and Power Bridge technology, the X270 affords great flexibility. And it is lightweight, starting at just under 1.36 kg (3 lbs). In other words, the X270 features two removable batteries and each battery is available in a standard 3-cell (23 Wh) capacity and the rear battery is also available in two varieties of 6-cell extended life capacities (48 Wh or 72 Wh). Since it can easily power through the day (according to Lenovo), a user can feel free to leave the adapter behind and forget about searching for power outlets. On the X270, both the TrackPoint and the TrackPad on their award-winning ThinkPad keyboard are refined. With an improved design that lessens jumps and gaps when scrolling, Lenovo’s navigation technology delivers a smoother, cleaner, and more accurate experience. Ports and connectivity options are numerous including optional NFC, a smart card reader, Ethernet, an audio combo jack, HDMI, USB-C, two USB 3.0 ports and one always-on USB 3.0 port, and a 4-in-1 card reader. There is also a webcam with a 720p resolution. Besides the standard WiFi and Bluetooth, the Thinkpad X270 has LTE-A available. It enables users to always have connectivity and access to all data and apps in the cloud. The ThinkPad X270 comes with a standard worldwide warranty, which means that users can get help in 160 countries around the globe. It is a good feature in case the laptop requires any services or warranty, when a user is travelling for work around the world.